Have you ever seen the effects of a child visiting someone who has Alzheimer's disease or another dementia? If you have, you know that the effect that children have is significant, especially for older adults who are living with dementia. It's not uncommon to witness a child enter the facility and see a dramatic change in the engagement levels of persons with dementia. Suddenly, "Sarah the resident" is smiling, leaning toward the child and talking to her. If the young child is willing and walks over toward Sarah and is placed on her lap, Sarah is utterly enthralled, smiling, talking to the child, and laughing. Some facilities, including nursing homes and adult day care centers, offer child care centers where young children and older adults interact together on a regular basis. They might read together, build a tower out of blocks at the table or simply spend time together. Older adults without dementia demonstrate a higher frequency of smiling and conversation when interacting with preschool age children. Intergenerational programming allows adults with dementia to be able to teach children things, such as how to fold a towel, how to dust handrails or how to categorize things such as by seasons or colors. Interaction with older adults has also shown benefits for the children involved, including fewer behavioral challenges and improved social development. Intergenerational interaction appears to serve as a meaningful activity and improve quality of life for older adults living with dementia. There are some risks and challenges to facilitating intergenerational activities. Because both children and persons with dementia can be unpredictable and lack inhibitions, caution must be utilized to ensure the safety of both parties. Adequate time is necessary for deliberate programming of the shared time together. The programs must meet multiple licensing requirements for both the persons with dementia and the children. Most facilities for adults with dementia, such as nursing homes and assisted livings, as well as those for child care, don't have the extra space required to regularly accommodate more people onsite. While you might not be able to combine the care of people with dementia and childcare facilities on a daily basis, there are some things you can do to encourage these interactions to occur more frequently. Own or direct a daycare? Get permission from the parents and regularly visit a facility that cares for people with dementia. Have dementia care staff members with children? Encourage them to stop by with their kids to visit. Live near a facility or know someone who has dementia and lives in her own home? Stop by with your children and spread some joy. Have a loved one with dementia in a facility or at home? Ask family members with kids to bring them with on short visits, rather than arranging for a sitter at home. Allow extra time for short visits to other residents at the nursing home. Teach at a school that's near a care facility? Contact the activity director to set up regular visits with the students. 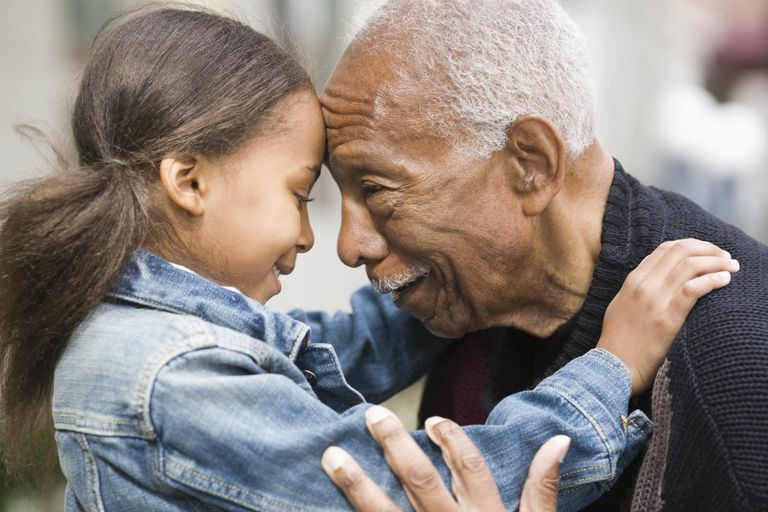 Having witnessed the beauty of children and older adults interacting many times, it appears that all involved benefit from the richness of intergenerational time together. While there are a few challenges to facilitating these interactions, the benefits appear to be worth the effort it takes to arrange the visits. Baker, J., Webster, L., Lynn, N., et al. (2017). Intergenerational Programs May Be Especially Engaging for Aged Care Residents With Cognitive Impairment: Findings From the Avondale Intergenerational Design Challenge. American Journal of Alzheimer's Disease & Other Dementias, 32(4), pp.213-221. Galbraith, B., Larkin, H., Moorhouse, A. and Oomen, T. (2015). Intergenerational Programs for Persons With Dementia: A Scoping Review. Journal of Gerontological Social Work, 58(4), pp.357-378.